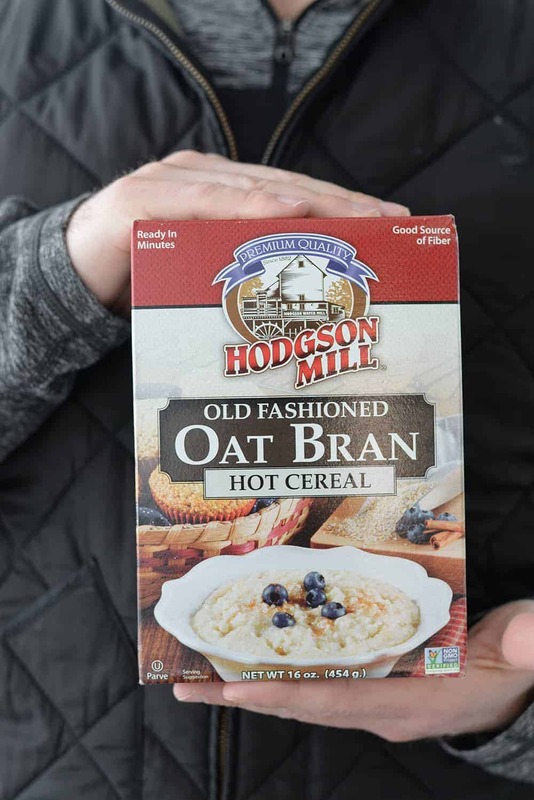 Disclosure: I was asked to participate in the #BetterBowl18 campaign with Hodgson Mill as a member of the Healthy Aperture Blogger Network. I was compensated for my time. Every few months, I like to ask you what you want to see more of around here. While I rarely have a shortage of ideas (that’s the upside to being #obsessed with food and nutrition), I want to make sure that I’m giving you a reason to show up day after day. After all, if I had my way, I’d probably just rotate between pasta, curry and salad recipes then repeat for infinity. 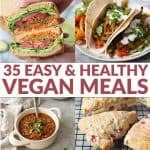 One thing you tell me loud and clear is that you want more savory vegan breakfast recipes. Well friends, ask and you shall receive. Think of me as your recipe genie; if you ask me enough (and rub my belly), I’ll give you what you want. 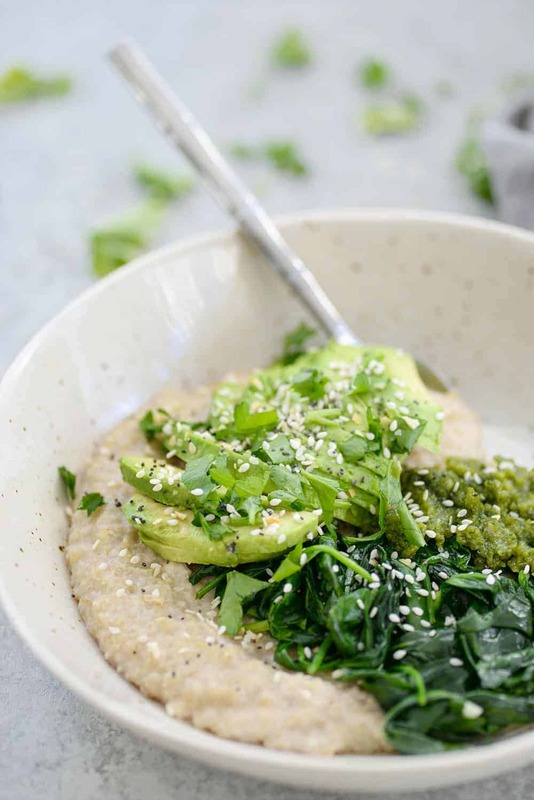 This bowl is the combination of everything I want for a breakfast meal: a creamy bowl of hot oat bran topped with pesto, garlicky greens, avocado and everything bagel seasoning. It’s so satisfying and the perfect cool-weather breakfast. For my vegetarian friends, I could see this topped with a fried egg or maybe a little goat cheese? Either way, you are going to love this super satisfying, savory breakfast option. Bowls are still fun, yes? We were in Denver last week and I saw cute cafe after cute cafe offering smoothie bowls, acai bowls, grain bowls and everything in between. I love this trend; there’s no pretense when it comes to making bowls, especially in my house. Top with whatever sounds good and dig in. The base of this beauty is oat bran, the fibrous outer layer of each kernel that protects the seed from damage. Generally bran is sifted off and removed when grains (and oats) are refined into flours like all-purpose, so you lose those nutrients if you only eat foods with refined flours and starches. It’s why I’m such an advocate for whole grains, you get the good stuff when you eat the entire kernel! Oats, and specifically oat bran, contain soluble fiber. This type of fiber is linked to decreases in blood pressure and bad cholesterol, as well as improvements in weight management, blood sugar management, and digestive health. Fiber is amazing. I know I’m a broken record on how awesome fiber is for you, but it’s something that we should all try and get more of in our diet. Most American’s eat only 50% of the recommended amount (aim for at least 25-30g) and the research that links fiber intake to gut health/immunity is not something that I take lightly. Roughly 80% of your immune system is housed in the gut, so it makes sense that if your gut is healthy then you are healthy. It’s pretty simple to get more in when you fill your plate with fruits, vegetables and whole grains like oat bran. There are two types of fiber – insoluble and soluble fiber. Both are good for you in different ways. Insoluble, as the name suggests, does not dissolve in water. It stays intact as it moves through your digestive system, providing bulk and keeping you regular. You can find insoluble fiber in wheat bran, vegetables, and fruit skins and seeds. Soluble fiber on the other hand does dissolve in water, into a gel which slows and regulates digestion. Soluble fiber is also thought to bond with cholesterol particles and sweep them out of the body. Good sources of soluble fiber include oats, nuts, seeds, lentils and other legumes, fruits and especially blueberries. 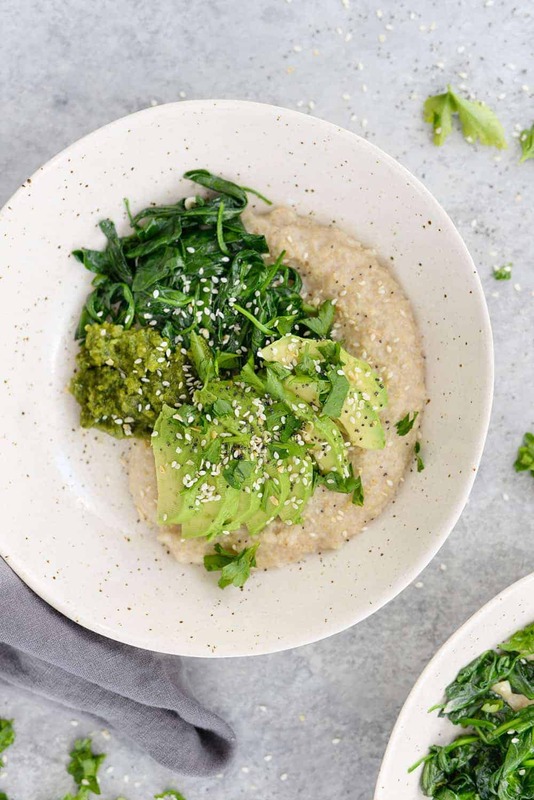 We tend to talk about protein as the most satiating nutrient, but fiber also helps you feel fuller longer- thanks to the combination of both soluble and insoluble fiber. If you like grits (hiiii fellow Southerns), then you will love oat bran cereal. 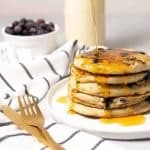 It’s done cooking in just a minute or two, so you can make up a big batch all at once, then reheat throughout the week for a quick start to your day. For these bowls, I make the pesto and bran ahead of time, then top with freshly sautéed spinach (or any green) and avocado. For more crunch, sprinkle on everything bagel seasoning on top (you can get it at Trader Joe’s) or a pinch of red pepper flakes. 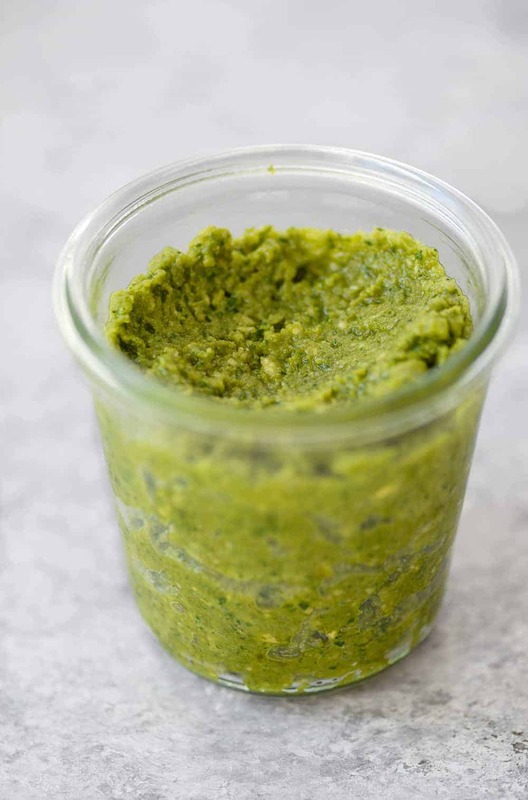 Make the pesto: Add the basil, nuts, garlic, lemon juice, nutritional yeast and a pinch of salt to a food processor and pulse until a loose paste forms. With the motor on, add the olive oil. Then, add the water, 1 tablespoon at a time, until the desired consistency is reached. Set aside. Make the cereal: Place the oat bran, 2 cups water and remaining 1/4 teaspoon salt in a medium saucepan over high heat. Bring to a boil, then reduce heat and cook for 1-2 minutes until hot. Make the spinach: Heat a large skillet over medium heat. Add the olive oil and the garlic and cook for 30-60 seconds until just fragrant. Add the spinach and cook until just wilted, about 1-2 minutes. Season with salt/pepper. 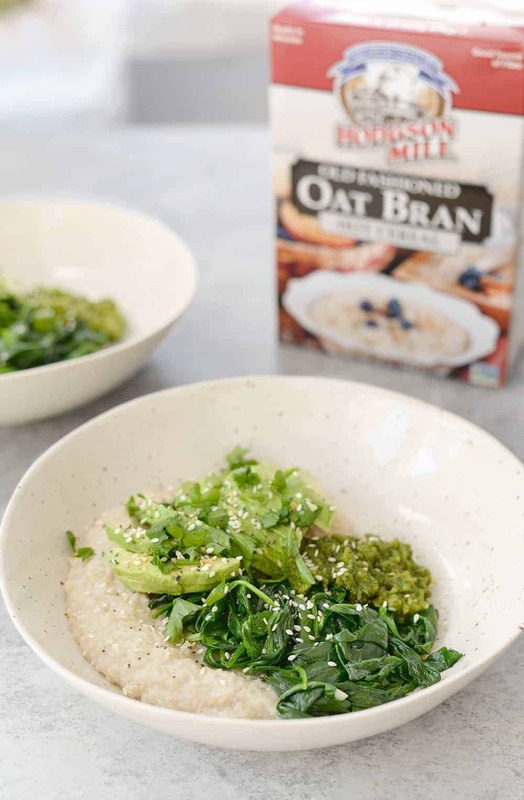 Assemble the bowls: Divide the oat bran into two bowls, top each with a spoonful of pesto and 1/2 of the spinach. Thinly slice the avocado and divide into the two bowls. Sprinkle with Everything Bagel Seasoning and eat hot.